In today’s age of drones and and the military’s pilotless aircraft performing all sorts of missions, what modeler has not thought of flying his own RC version of the drones now in the headlines? The Pioneer, the Shadow, and ultimately the infamous Predator, all fixed wing drones, allowed our military forces to bring the battle to the bad guys without placing pilots in harms way. 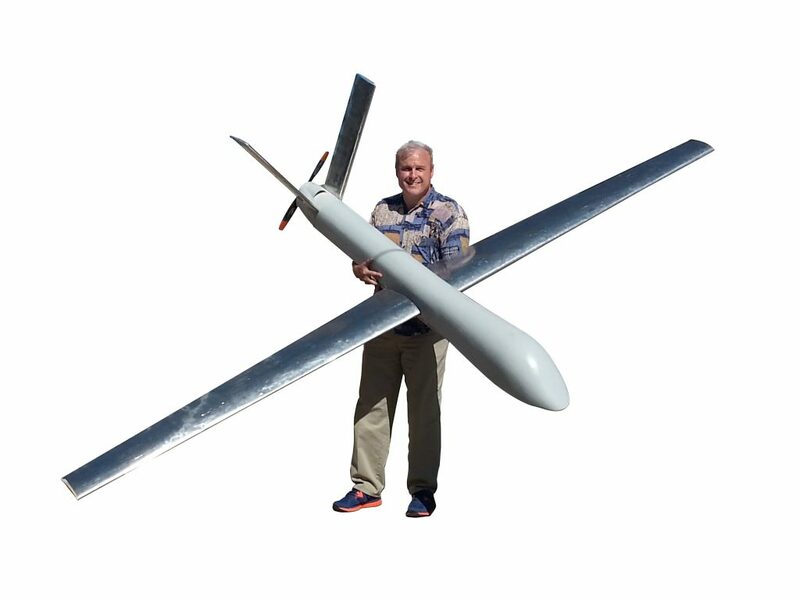 With four decades of experience and including four family generations in the RC and drone manufacturing industry, Douglas Thorpe is now offering the ultimate RC fix for modelers wanting to fly their own military drones, albeit in a smaller scale size. Thorpe is launching consumer product vehicles that previously have been used by the military to train operators in the Global War on Terrorism. The Thorpe King of Drones USAF Reaper/Predator is a 1/2-scale model that spans 12 feet, yet breaks down to fit most automobiles to go to the flying field. Alternatively, the plane can also be launched and recovered vertically using a quadcopter-like arrangement with a boom kit that is also available. Three other RC model drones are available from Thorpe King of Drones including the 1/2-scale US Army Shadow and 1/2-scale Pioneer, and the rugged P10C. 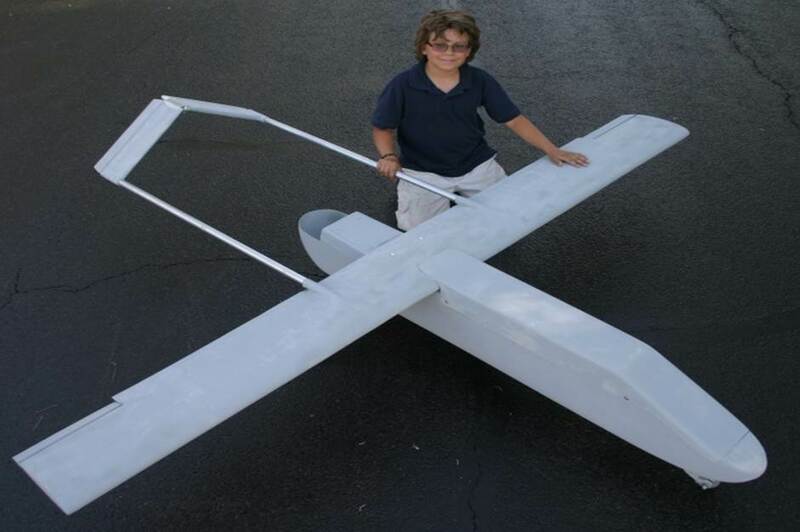 Each is available as either a Quick Build Kit featuring aircraft grade aluminum covered wings and assembled tail fins and fuselage with firewall and framing installed, or as economically priced starter kits with foam cores and saddles for you to cover with Obechi wood sheeting or mylar film, an unassembled fuselage with templated bulkheads and unique parts. With an optional Quad-Rotor Kit, any of the four models, even the Giant Reaper model, can be made into a hybrid compound aircraft performing exhilarating vertical takeoff and landing with no need for a runway! ALL four of the models are manufactured in the USA and can be bought through your local hobby shop, or direct from the manufacturer. Kit list prices start at $675 FOB Mesa, Arizona. Shipping and Handling is $105 delivered anywhere within the contiguous United States. The Air Force has long used Reapers and Predators around the world and are known around the world as America’s leading tactical drone in the Global War on Terrorism. The Shadow is the US Army’s #1 tactical drone in use today and the Pioneer is the military drone that literally shook up the military with what was possible with drone technology. The Predator, Shadow and Pioneer are each featured displays at the Smithsonian Air and Space Museum on the Mall in Washington, DC. The modest P10C is a design that has been serving universities and research organizations for almost four decades due to its ample rectangular payload volume and simple, rugged, and forgiving flying and repair qualities. It all began with a passionate love for RC planes. In the faraway Philippines. Antonio (Tony) Mendoza, who grew up in Cebu, was an accomplished scratch builder and he paired up with Douglas Thorpe, an American engineer, to found the Thorpe Export Corporation in 1983. 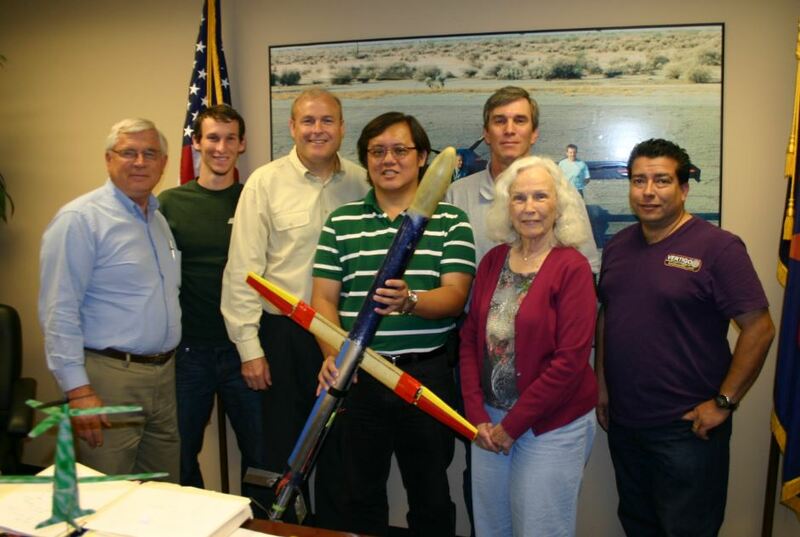 Through Arizona-based Thorpe Engineering Corporation, the Starhawk line of Philippine manufactured ARFs found immediate market success selling .40-size trainers, sport, biplane, pattern and fun fly model planes. RC retailers carried Thorpe products in Asia, Europe, North and South America. The Starhawks were so well made that engineering companies were soon asking Thorpe to design and manufacture larger drones that could be used for research and development projects launching the P10 drone series for the company. The P10 drones featured built up 16 feet span wings, aluminum tail boom and tail dragger undercarriage and composite fuselage pod much like Byron’s Pipe Dream. Ten years later, as the RC market dropped off, the companies migrated in-house RC model production to providing training and proficiency drones to the United States Army, Navy and Marine Corps. 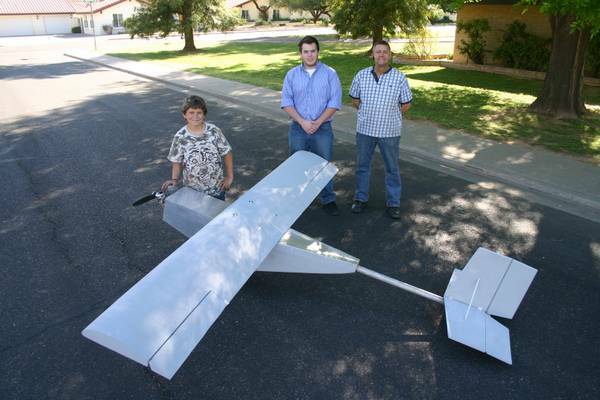 In 1993 in Mesa, Arizona Thorpe Seeop Corporation was founded specifically to continue development and to market commercial drones as the Seeop line of drone vehicles from 5 to 1,600 pounds. To achieve more capable and reliable flight operations, Thorpe developed larger and larger vehicles with robust engines and custom designed and manufactured servos leading to the TS2000, an all aluminum constructed Cessna-size tail dragger “flying truck” boasting over 400 pounds payload capacity to support law enforcement, agriculture, commercial mining, and time-critical, high value shipment applications around the world. That’s when the White House security program found the Thorpe companies to provide Cessna-sized threat aircraft to demonstrate to the Administration the effectiveness for countermeasures against potential suicide small plane threats. 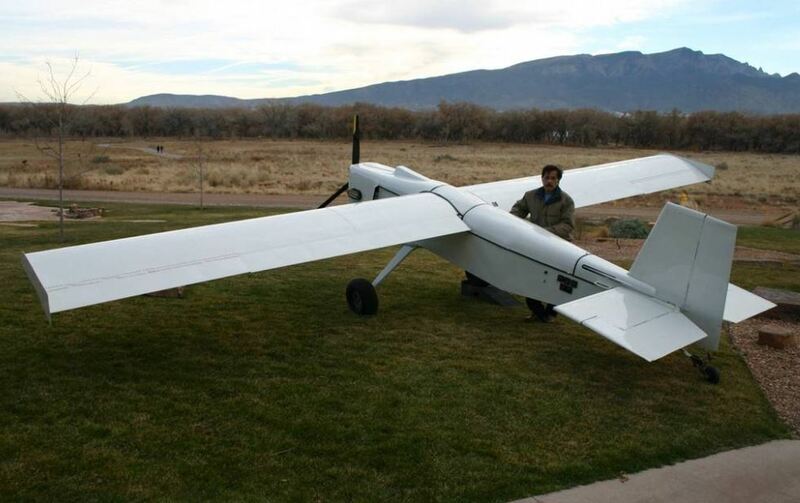 Demand for Thorpe to develop innovative drone aircraft became so great that the company found it necessary to design, build and operate Thorpe’s Low Speed Wind Tunnel, (the Rocky Mountain States’ largest open circuit wind tunnel). There, Thorpe personnel were able to literally fly innovative prototype drone vehicles on tethers inside the 16 feet diameter test section for many customers without risk of losing the prototypes during the early stages of flight test. Thorpe’s development efforts average one new innovative drone vehicle design each year over the course of its 35 years in aviation. These UAV aircraft support such diverse applications as aerial imagery, to unexploded munitions detection and mapping, underground detection and mapping, security, time critical package delivery, counter terrorism and warfighting capabilities. Thorpe’s mother, Bonnie Thorpe, co-founded the companies with Douglas and the two worked side by side for over three decades. Similarly, Tony Mendoza’s son, John Mendoza, worked side by side with his father from the very beginning prototyping and supporting production of Thorpe products. John now manages production of Thorpe products. 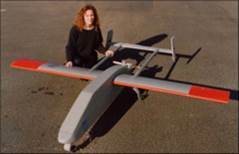 Thorpe’s daughter, Stacy Lippert, worked for many years on both Starhawk in the 1980s and in the 1990s on the Seeop drone product lines, with office administration and even welding landing gear and bucking rivets for TS2000 drones as a modern day “Rosie the riveter.” Stacy’s son, Zachary Lippert, works in prototyping in support of new product development and flight test while Thorpe’s son Steven Thorpe Castro works in New Business Development with his father Douglascoordinating business with Boeing and other defense contractors interests in Thorpe’s creative drone solutions. 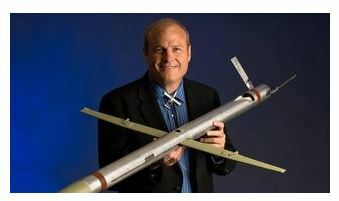 With such experience and expertise, the University of California named “Thorpe, King of Drones.” And the moniker stuck.